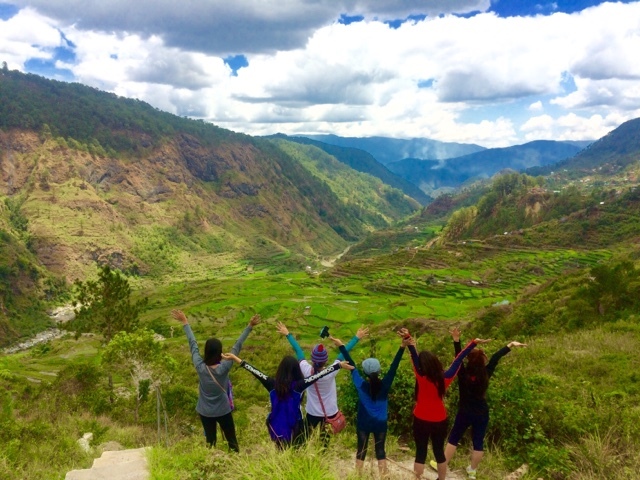 One of my favorite destinations in the Philippines is Sagada. I started touring in this majestic place in 2009 and 2016 is the 8th time I have visited this breathtaking spot. 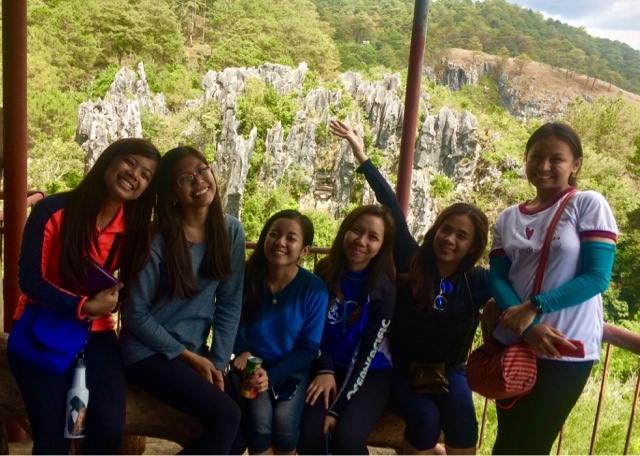 This visit is quite different from my previous visits and from my other tours in the Philippines since my companions are all females! 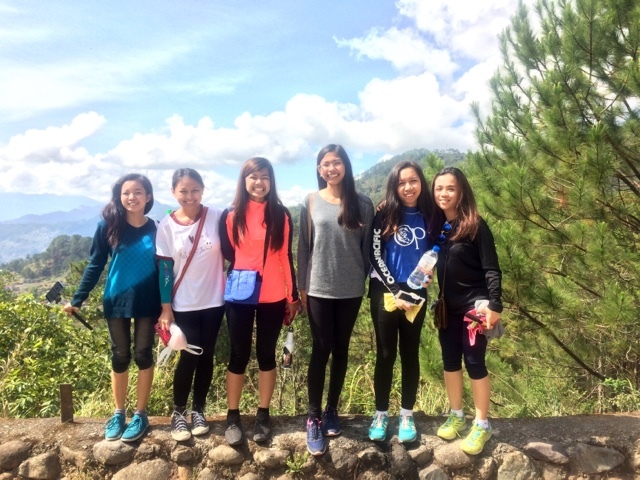 They are Vianca (aka Cutie), Faith, Marianne, Ashley, Kim, and Regine (aka Madam). We planned this tour as early as November last year. 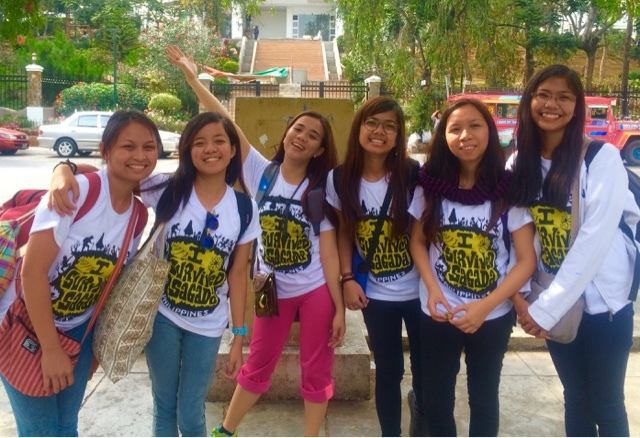 Our first stop before going to the bus station was my place of work - FEU. 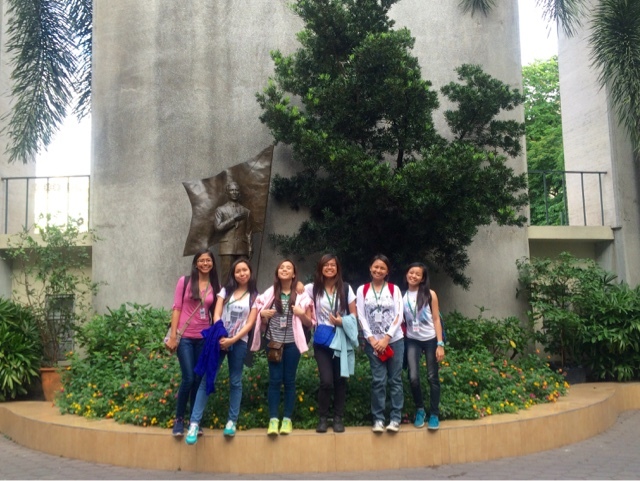 I toured them around the university and afterwards, we went to Coda Lines bus station. 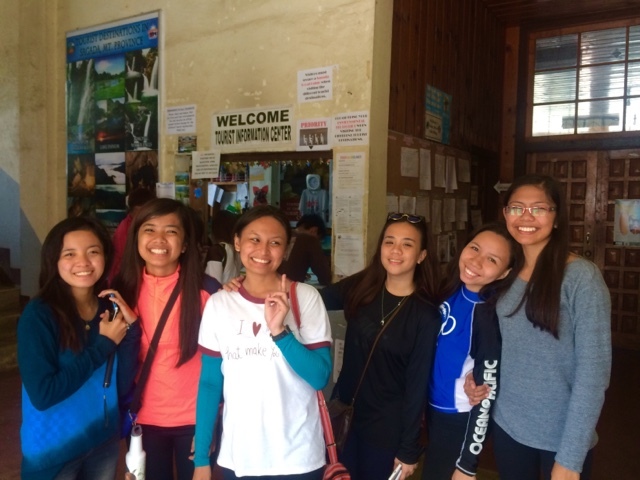 The trip to Sagada was set to depart 9 pm and we arrived 8 pm at the bus station. 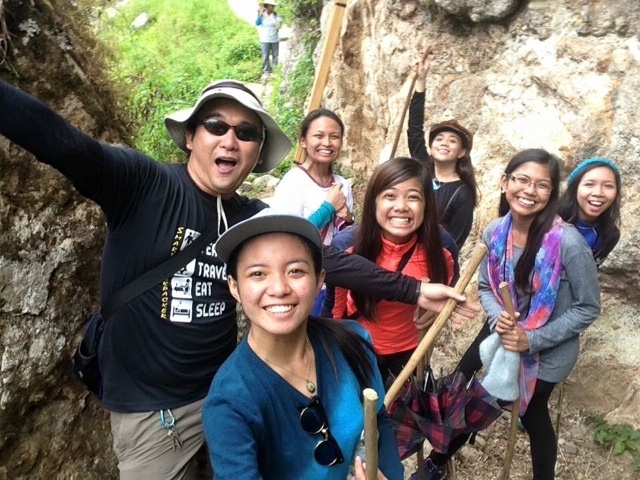 Past 9 pm we went off to Sagada and everybody's spirits were very high! We were all excited! 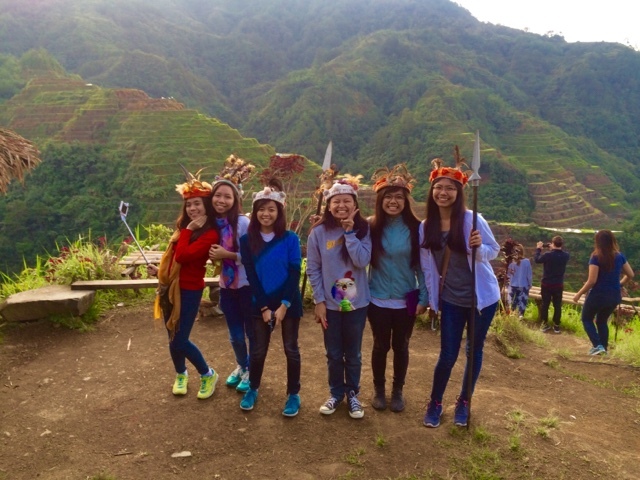 Past 6 am we arrived in Banaue Rice Terraces. 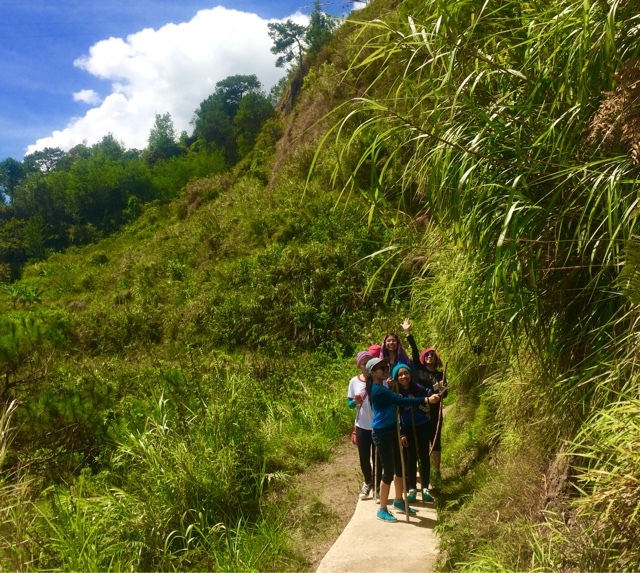 Part of the trip in Coda Lines was a 15-minute stop for picture-taking in the rice terraces. After 12 hours of journey, we arrived at our destination. 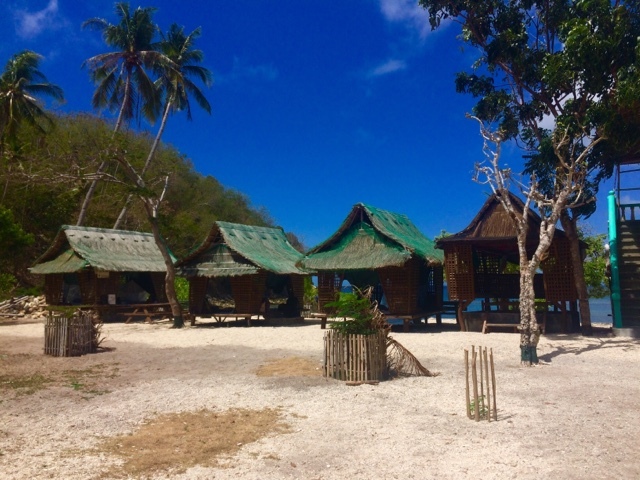 Before going to our homestay, we made the necessary reservations in the Muncipal Tourism Office for our tours and paid the Environmental Fee of P30.00. 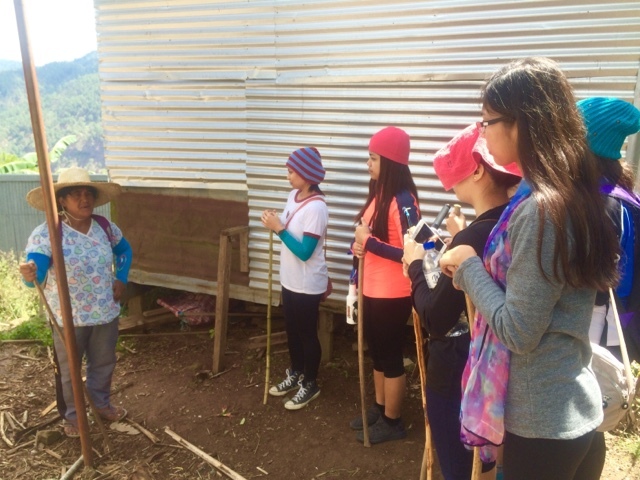 Afterwards, we went to our homestay and left our belongings. First part of the tour was the Bomod-ok Falls. 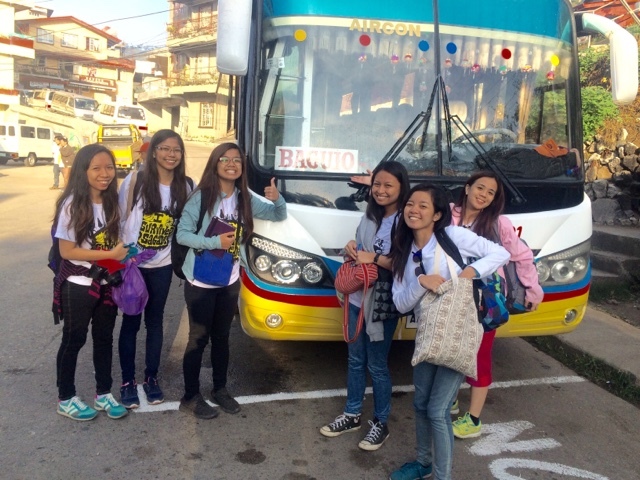 We hired a ride to our destination (Victor (0948) 384 3378). 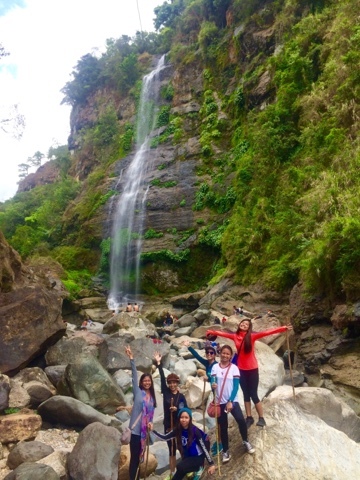 After 15 minutes, we reached the jump-off point, paid the guide fee of P500 and hiked. Ate Glo (0936) 870 0921) was our guide that day. 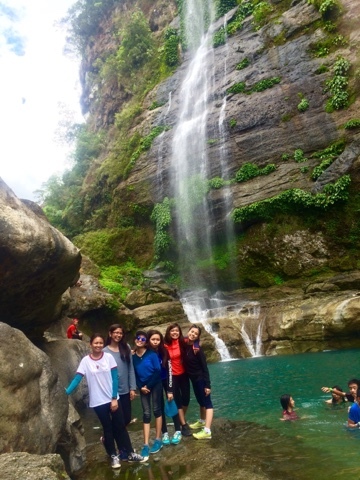 And we started our 1.5-hour trek to the falls. It was already 10 am and the weather was really scorching hot! 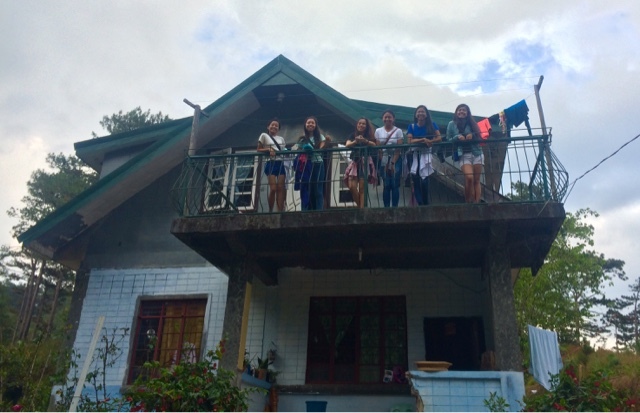 But we did not mind the weather, we are in Sagada! 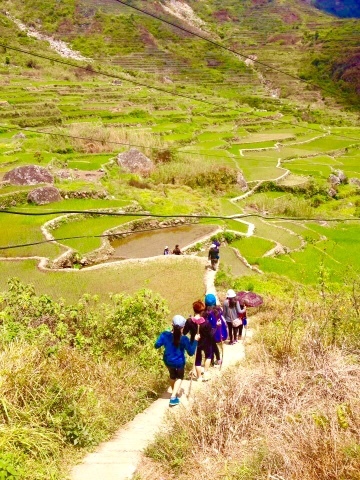 The view of the rice terraces was simply phenomenal and superb! 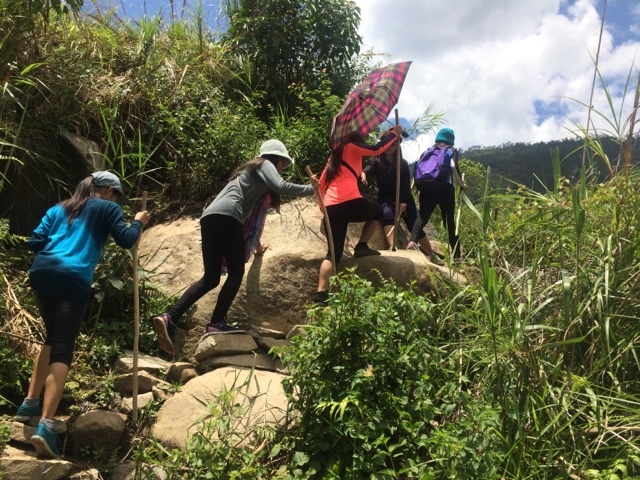 The trek in the rice paddies was very entertaining. Thereafter, we crossed the river and continued in our voyage. 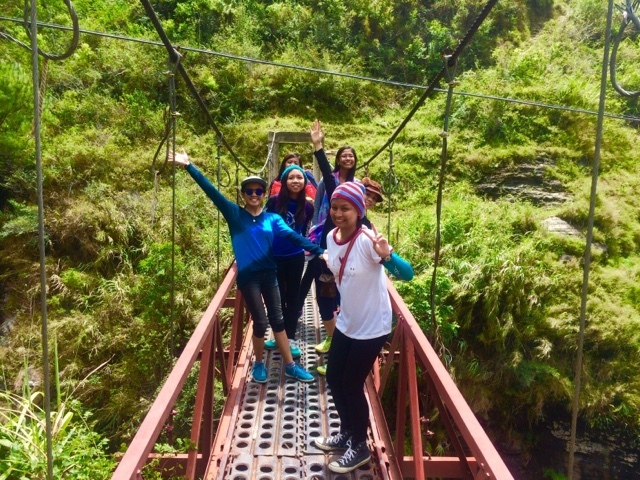 Along the way, we passed by a hanging bridge and we took our souvenir picture. And after minutes of trekking, we reached the spot! After staying for an hour, we left the falls. We had a very tight itinerary and we need to finish it. We did not use the usual way back and instead used the shortcut. 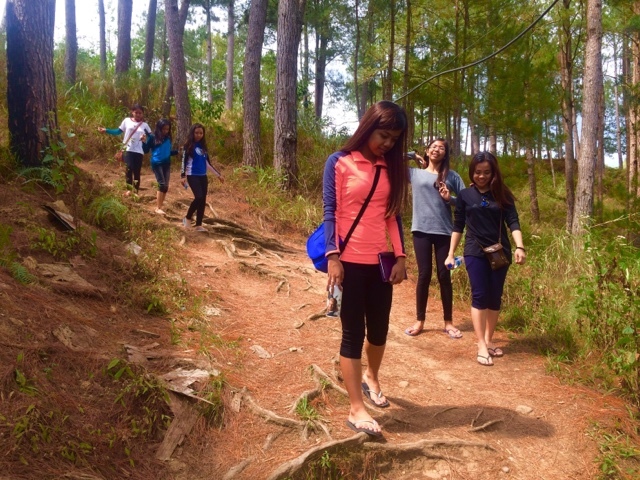 The trail was an uphill climb and we kept on ascending. 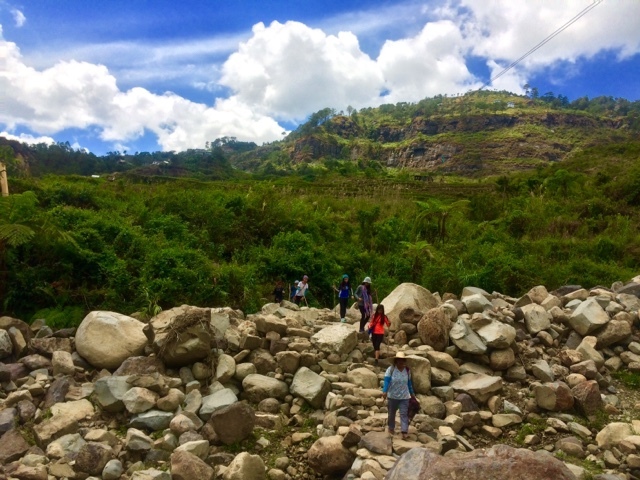 We passed by huge boulders of rock and the trail was a bit perilous. But the sight was indeed relaxing! 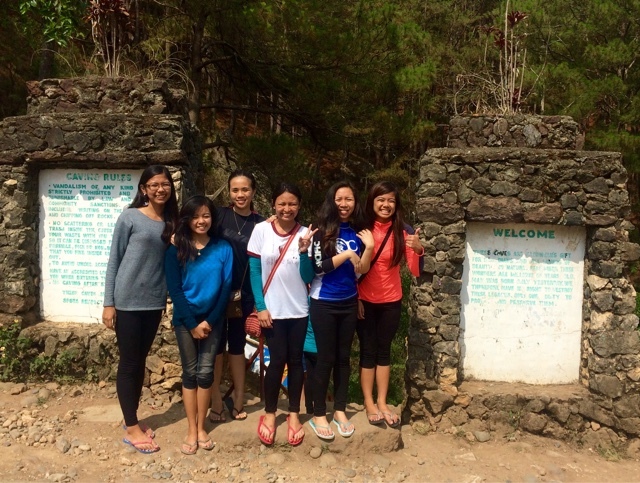 After reaching the van, we went back to the town of Sagada. 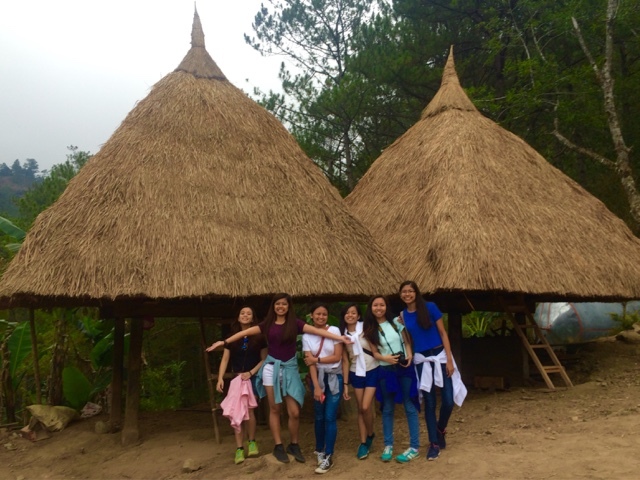 We were suppose to go to the Eco Valley but due to time constraint, the group decided to skip it. From the distance, we saw the hanging coffins. We took our hurried lunch and departed to our next destination. 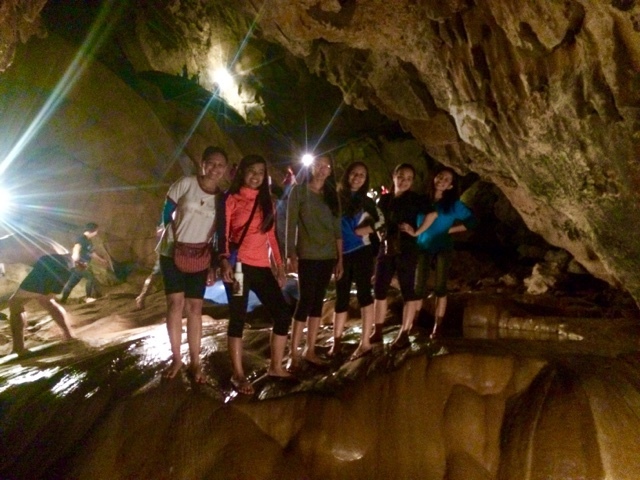 Second stop was the Lumiang Cave. 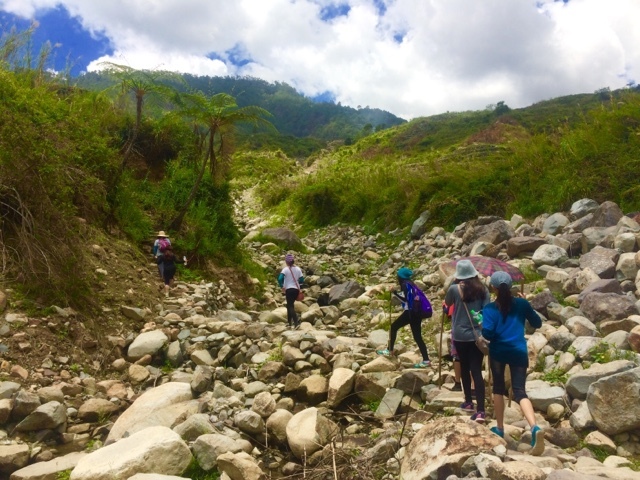 Limestone rock formations could be seen along the trail. And we started our second trek of the day. The trek was good only for 15 minutes. 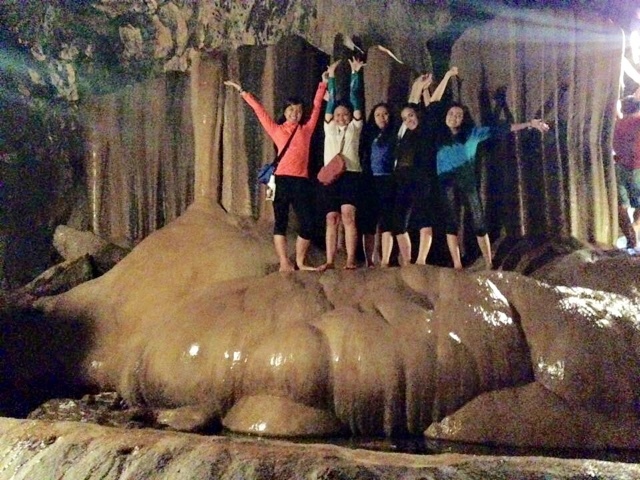 And we reached - Lumiang Cave! 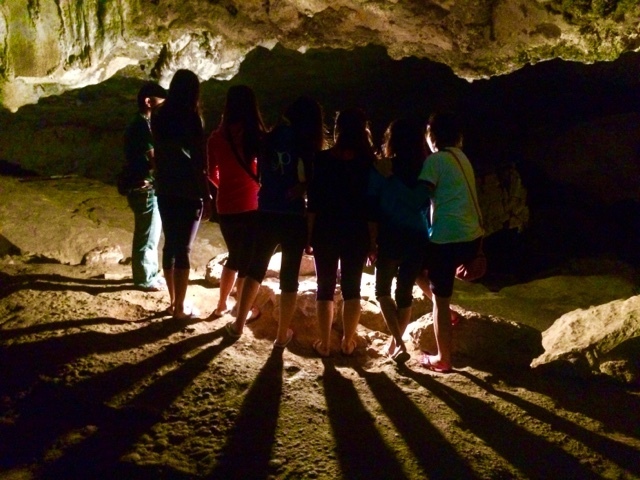 Spelunking is one the best adventures on Sagada. 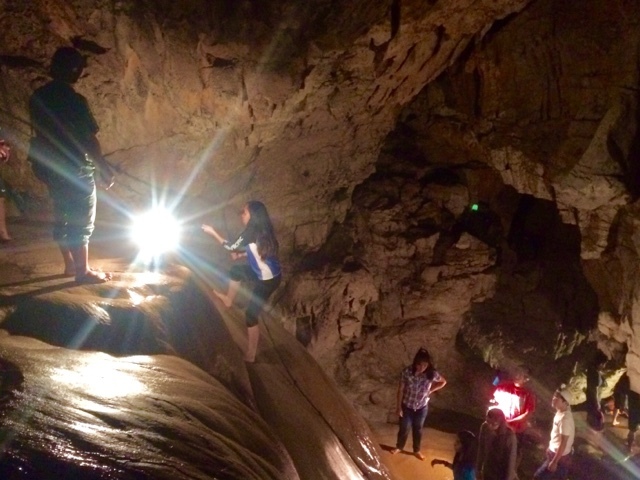 There are two kinds of spelunking the 4-hour spelunking from Lumiang to Sumaguing and the second one is the 2-hour spelunking in Sumaguing itself. 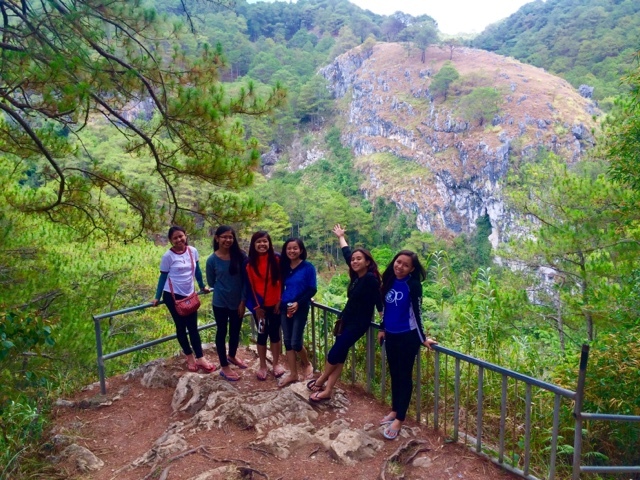 After the Lumiang cave visit, we went to our next destination in Sumaguing Cave. 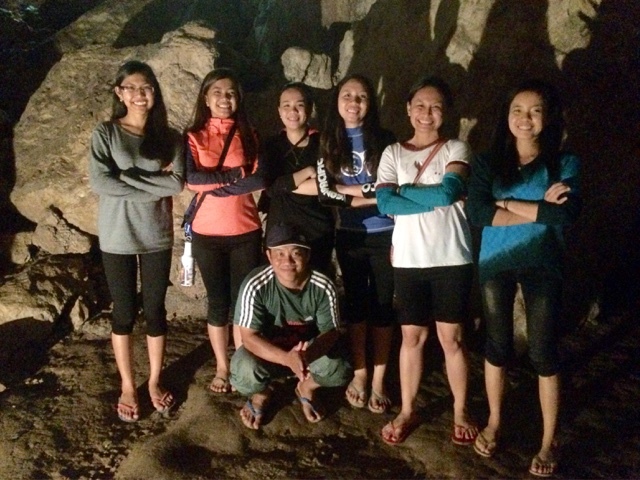 Our major activity for that day - Spelunking. 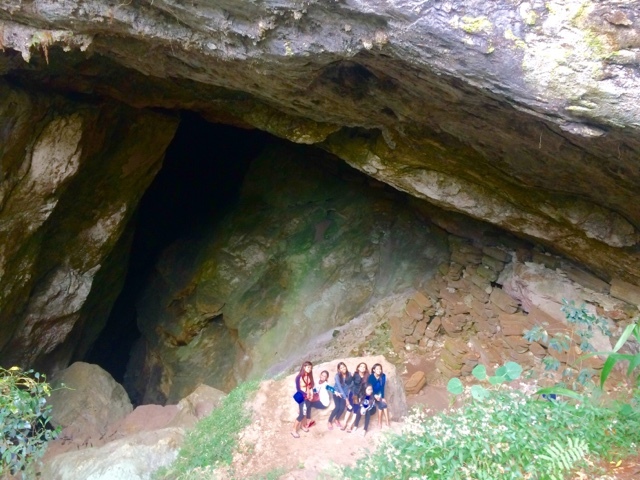 The group was given initial instructions by our guide before we started our spelunking. Guide fee is P1,500. Thereafter, we started our descent. We were very careful in this activity. We did not want anyone getting injured. Although the adventure was really exhausting. The group had the adventure of their lives. 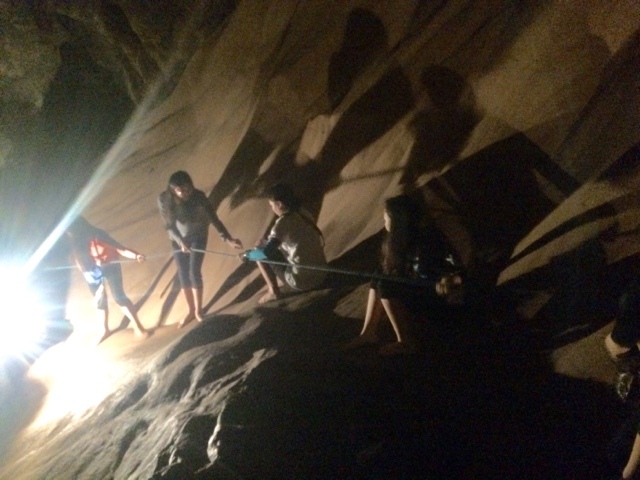 According to them, the okey to the adventure was teamwork! And they reached the King's Curtain! They even tested their wits in their rapelling adventure! All of them did it with gusto! 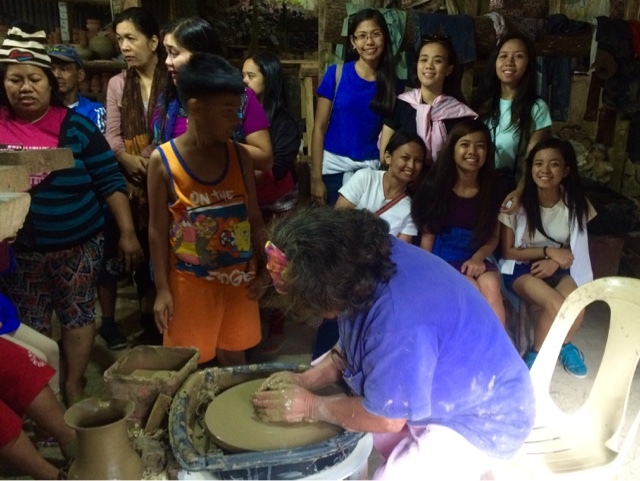 Past 4 pm, we went to the pottery making site and took a glimpse on how pots are made. We paid P100 for the spectacle. 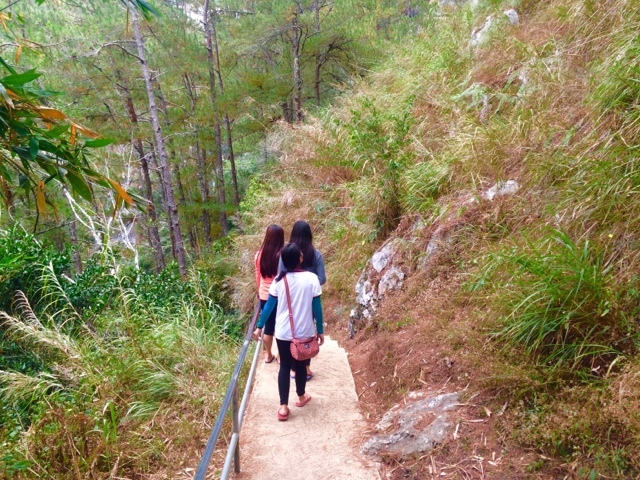 Then, we went to Sagada Greenhills. 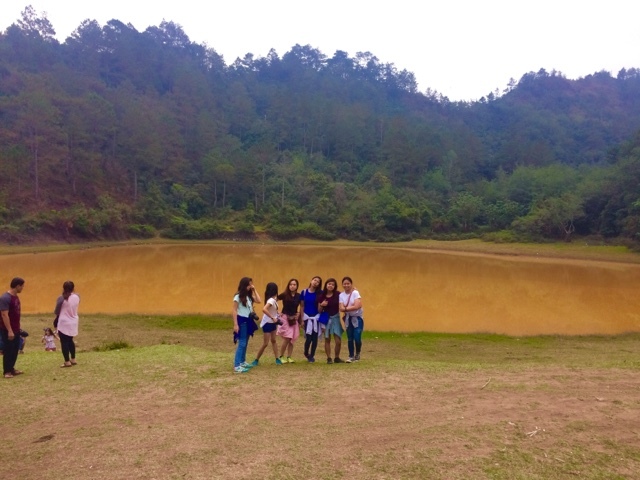 And went to our last destination for that day - Danum Lake. The group was a bit disappointed since the water in the lake was murky! 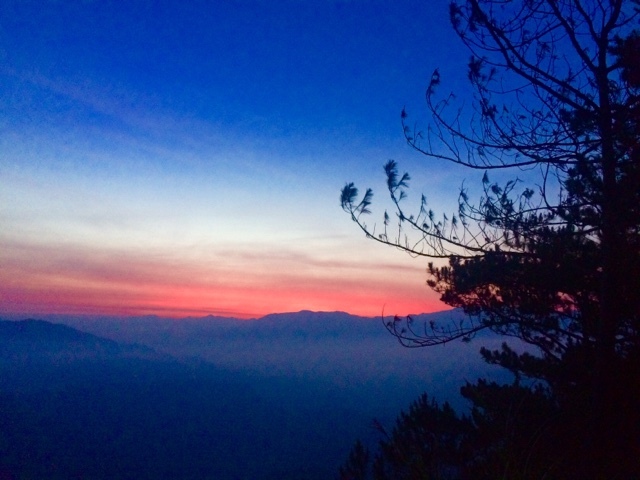 Danum Lake is the best spot in Sagada for your sunset viewing. Unfortunately, it was cloudy that day and the clouds took away our expectation. 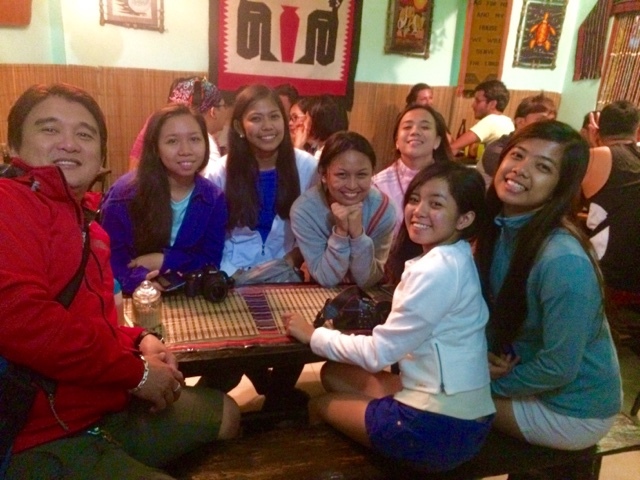 Past 7 pm, we took our dinner in the town of Sagada and tasted the local delicacy - Pinikpikan! 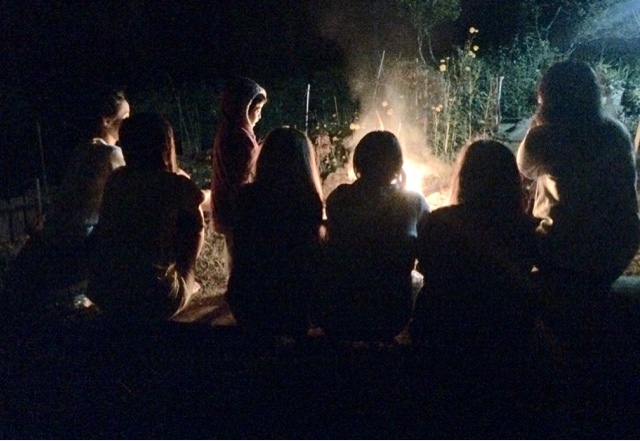 The tour in Sagada will not be complete without a bonfire and before hitting the sack, we enjoyed this activity. We woke up as early 3 am and by 4:30 am we were in Mt. Kiltepan for our sunrise viewing. We paid Mang Victor P2,200 for a package tour of all our destinations. 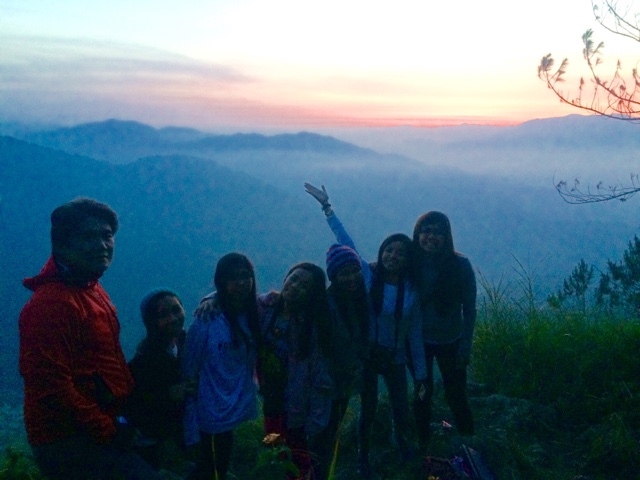 There was no sea of clouds nor a breathtaking sunrise but again the group did not mind. Everybody was enjoying! 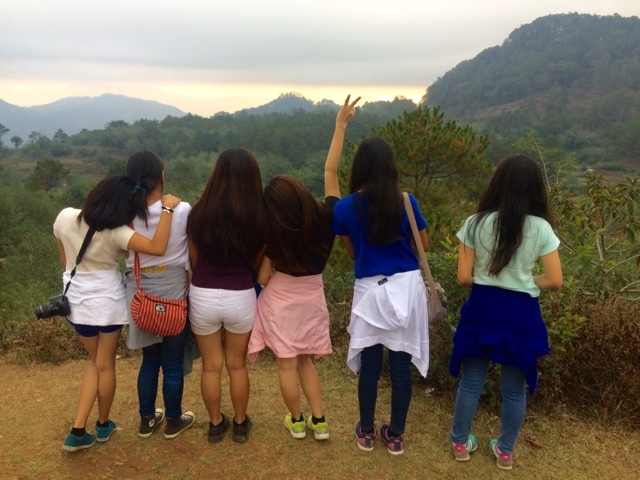 After the sunrise viewing, we went to the Orange Farm. 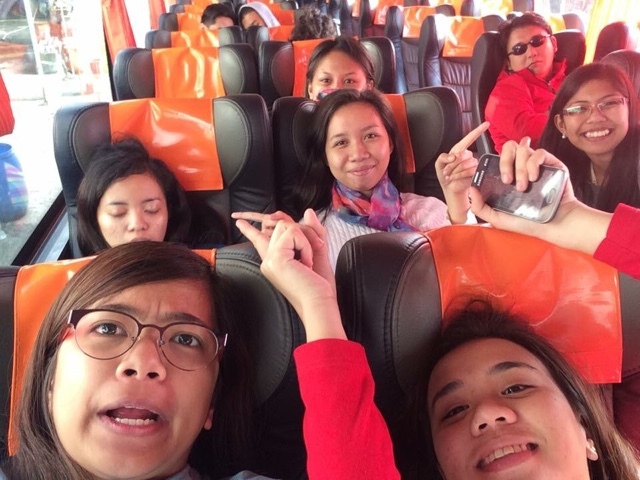 Around 8 am, we boarded the 5-hour trip to Baguio. Fare is around P170. 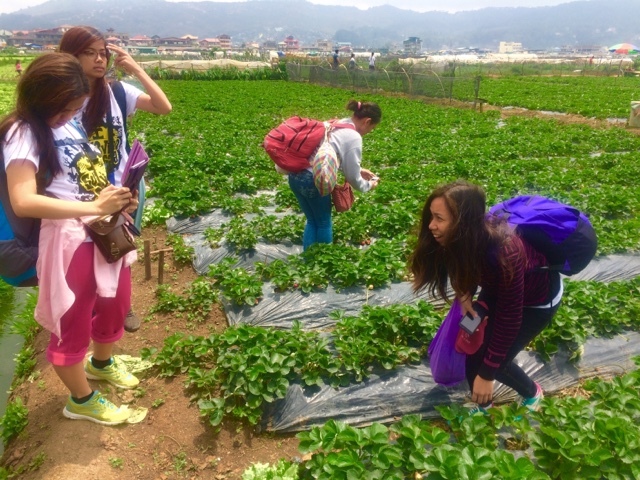 After 5 hours, we reached the Strawberry Farm. 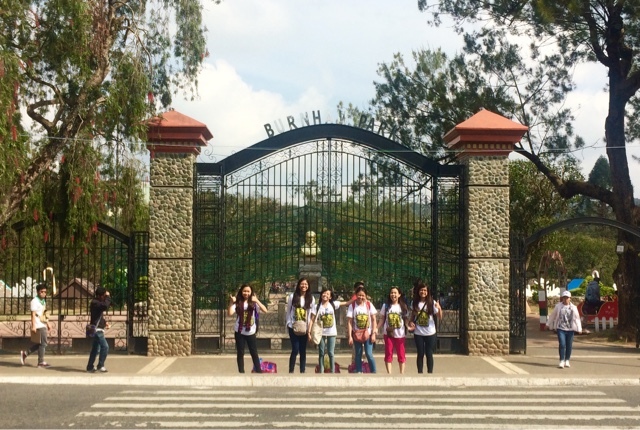 Everyone took turns taking their souvenir photos and "pasalubong!" 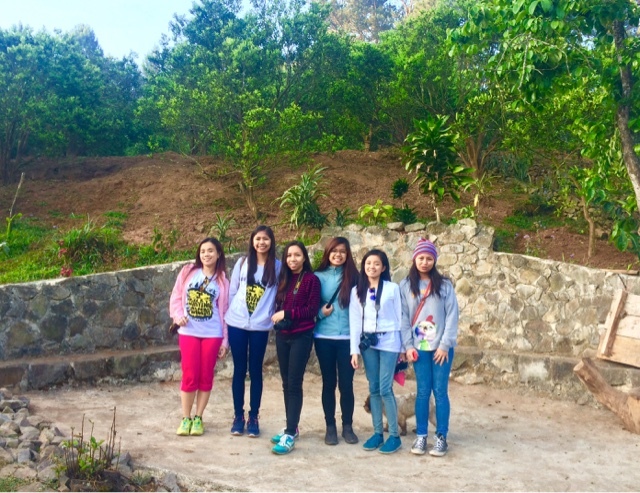 Aftet the farm, we boarded a jeep and went to Burnham Park in Baguio. 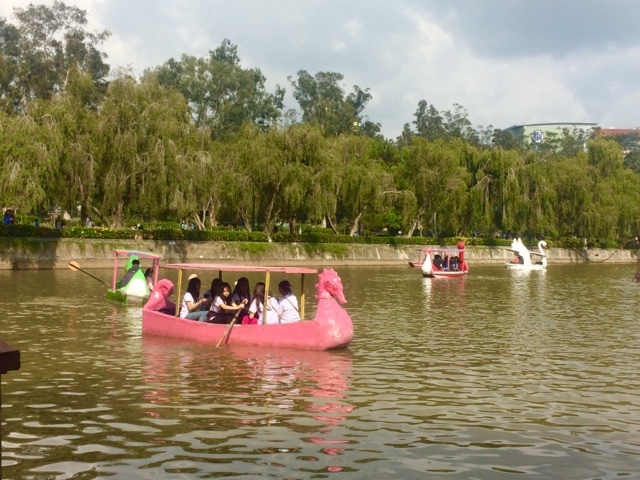 The trip in the park will not be complete without the boat ride (P100 only). 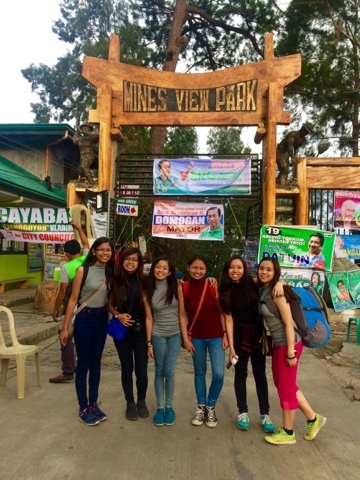 Last stop for the day was the Mines View after buying their "ube" in Good Sheperd. Thank you guys for this adventure! Next adventure - mountain climbing! 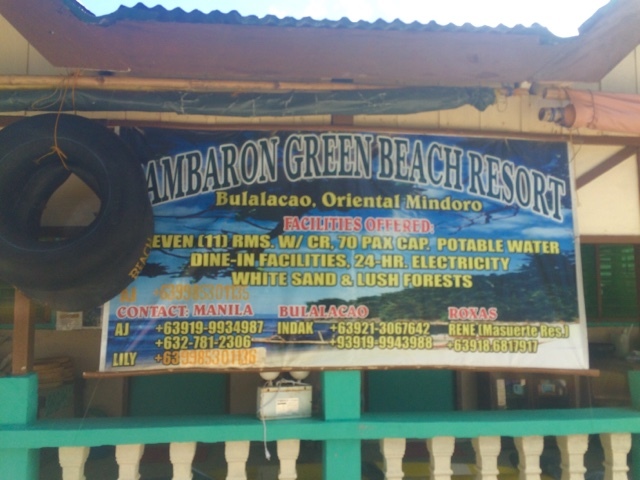 I was in Socorro, Oriental Mindoro and a lot of my friends were convincing me to go to Bulalacao, Oriental Mindoro. And I did! From Manila or Cubao, board a bus going to Batangas City Pier. There are numerous bus companies plying the route such as Jam Liner, DLTB and Batangas Starex (BSC). It is better to board the bus with the signage "ACTEX" or Calabarzon going to Batangas City Pier. Fare is around P165. 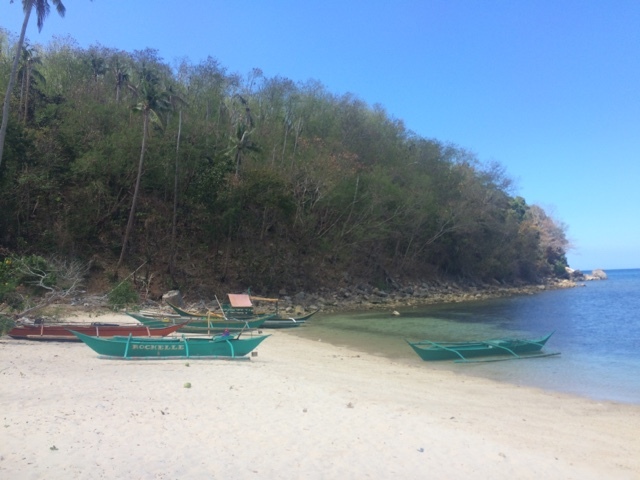 Travel time from Manila is 2 - 2.5 hours. Once you reach the pier, go to Terminal 3 and choose between Super Cat, Fast Cat and Ocean Jet. 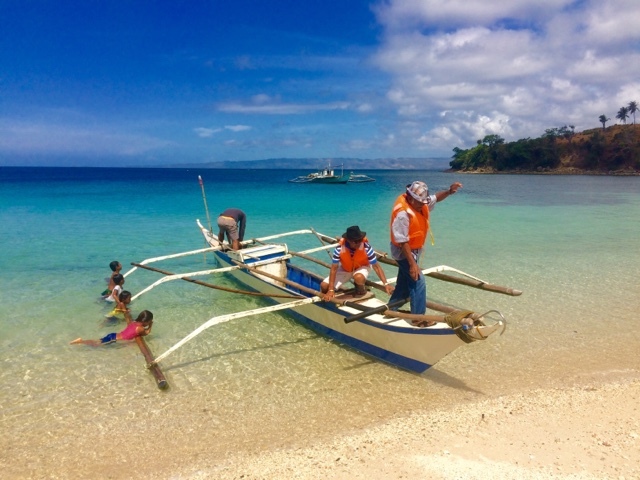 You can also board a RoRo. Travel time in the fastcraft is 1.5 hours and in the RoRo is 3 hours. The fare varies from aircon to non-aircon (P190-300). First trip going to Calapan is 6 am and last trip is 6 pm. 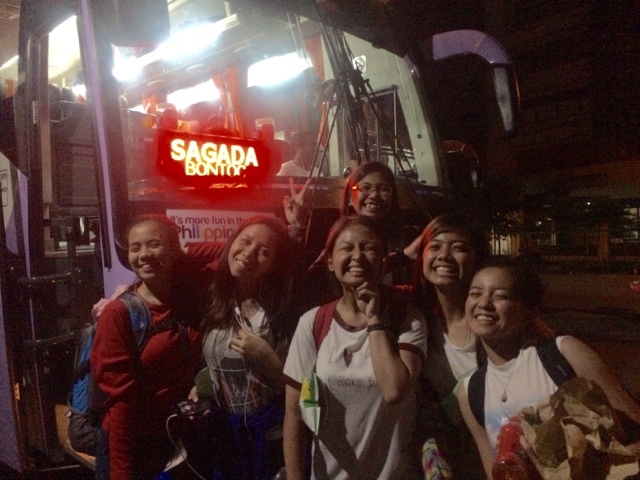 Once you reach the Calapan port, board bus going to San Jose. 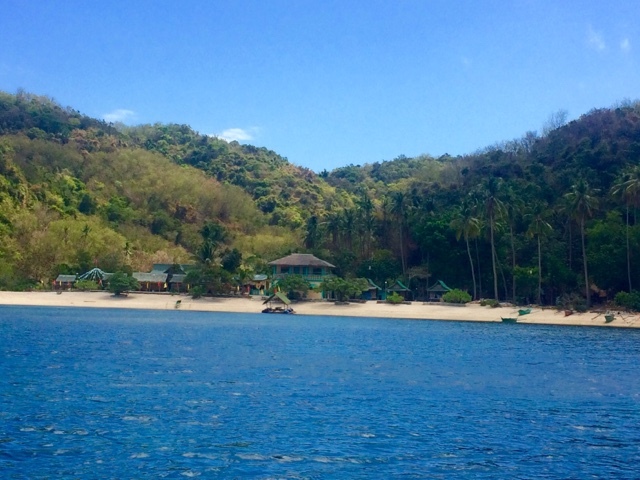 If you board the bus going to Roxas, you have to take another ride going to Bulalacao (25 kilometers). Fare is P250 and travel time is 4 - 5 hours. 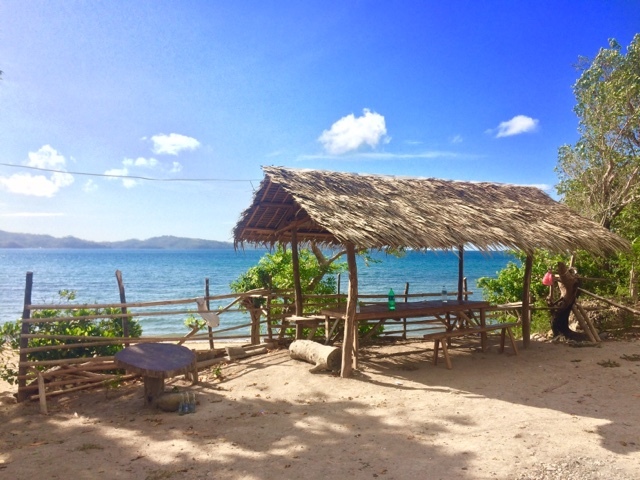 Alight in the town of Bulalacao and go to the pier. We did not use public transport. Instead, from Socorro to Bulalacao I drove for 3 hours (145 kms). 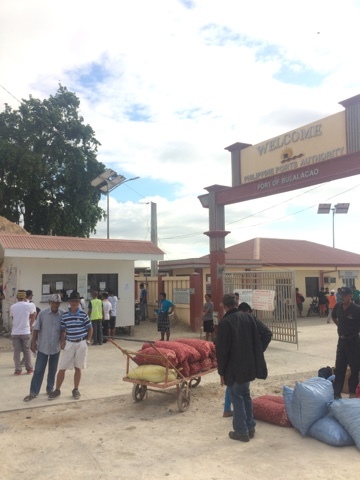 We reached the Port of Bulalacao. 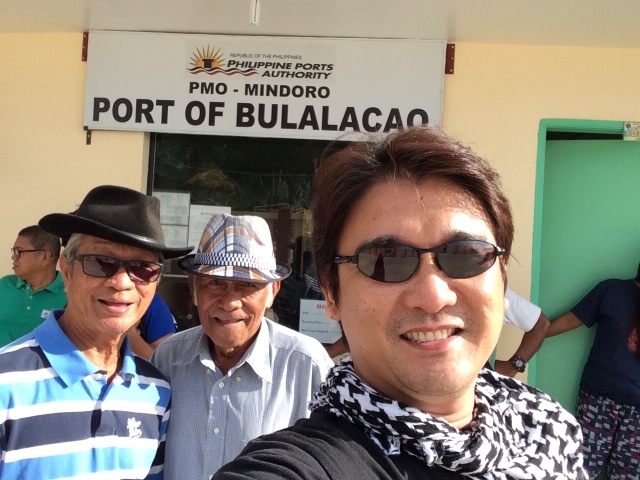 Tatay Arse, Tatay Edon and I took souvenir pictures while in the port. 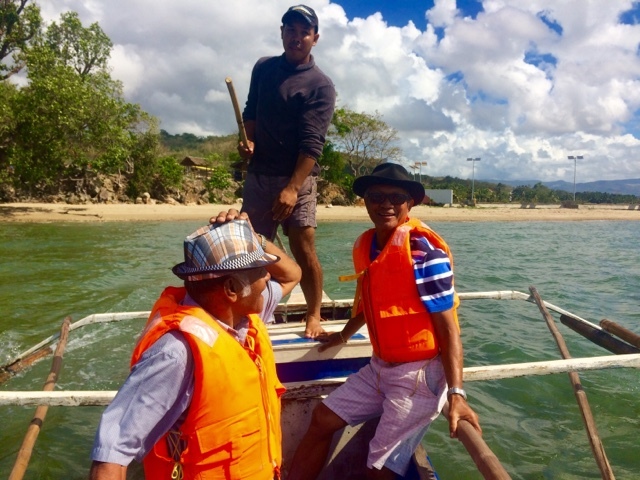 While in the port, we inquired with the locals relative to our boat transport. 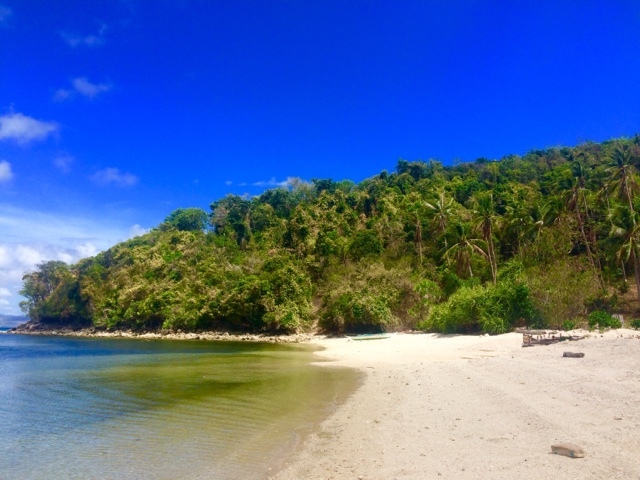 There are six islands that you can visit, namely: Buyayaw, Tambaron, Sugikay, Target, Aslom and Maasin. Sugicay and Target are the best islands. Past 8 am, we boarded the boat. 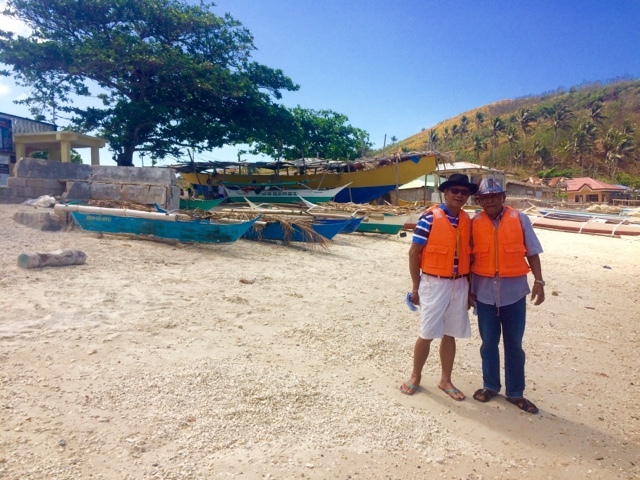 I was able to hire the boat for P1,500 for two destinations, namely: Maasin and Tambaron. 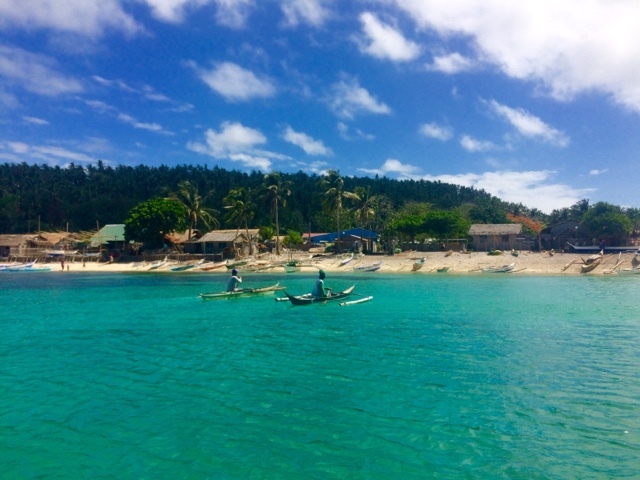 And we started our island hopping adventure! After 40 minutes, we reached Maasin. We were excited to see the island and we stayed in the island for only 20 minutes. 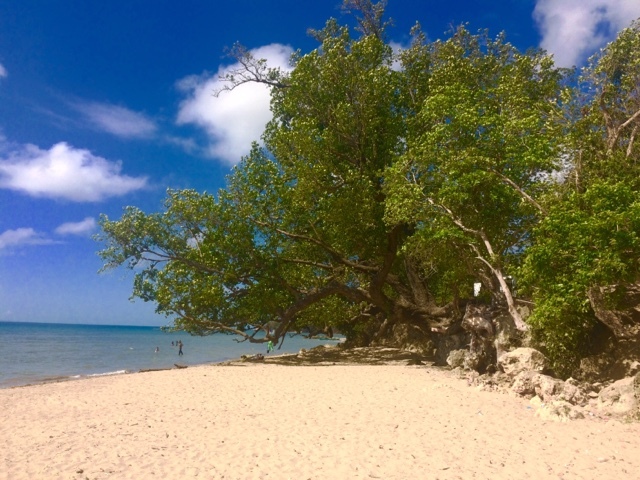 Maasin is the best spot to take a swim. 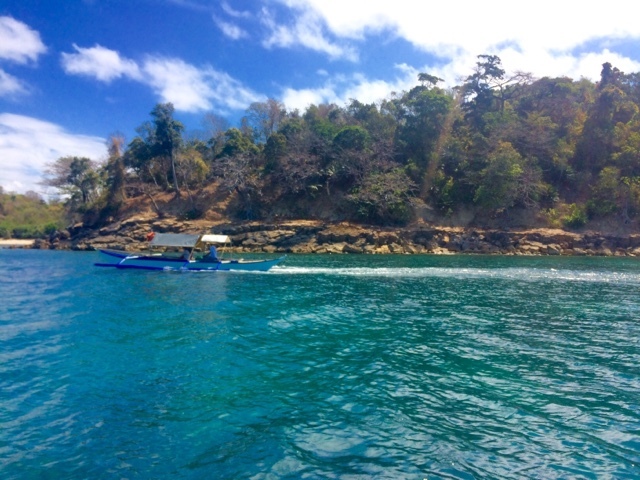 It has clear and pristine waters. 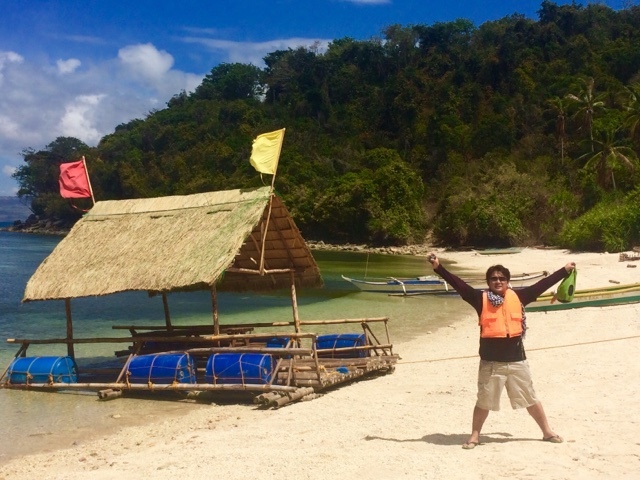 Thereafter, we left the island of Maasin. After 10 minutes, we reached Tambaron. How I wish I could have seen the other islands after seeing Tambaron and compare them. 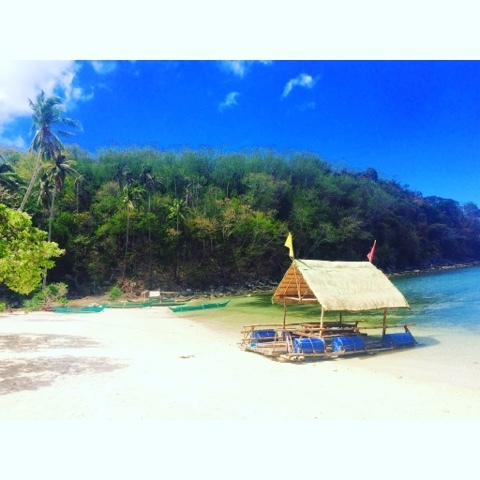 Entrance fee in the island is P50 per pax. We roamed around the resort and made inquiries. 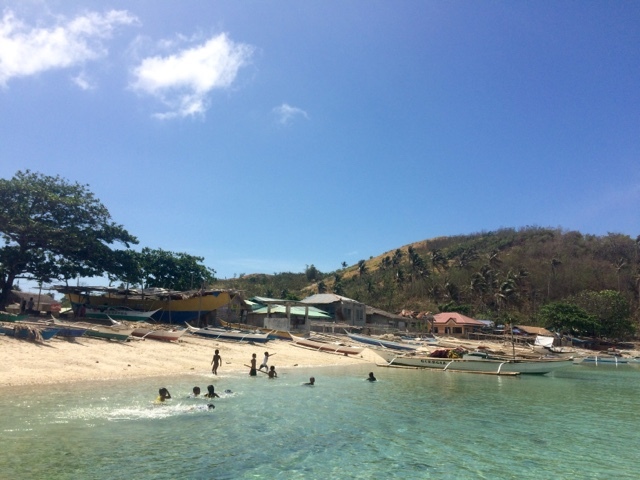 After nearly an hour, we left the island and went back to the port. And I drove back for another 3 hours and reached Socorro past 4 pm.